Prosecco is a big trend right now. The most popular type of sparkling wine originating from Italy. This favourite has been written up and touted by wine experts, critics and self-proclaimed wine buffs alike. But what do consumers really think? As a wine importer or retailer, are there obvious, equal or better alternatives you should offer? If you are a restaurateur, what is the hidden gem you will want to offer to your guests come Valentine’s? When it comes to wine, to each their taste, and consumer opinion matters. In fact, it’s the only thing that matters. To get answers, we collected, mined and analyzed consumer sensory and attitude wine data on some of the top selling sparkling wines of the 2017/18 Holiday season in Vancouver, BC. A Pacific Northwest city known for its great dining scene and a wine making region to reckon with. We focused on the high-volume market segment for this exercise, with products that retail for under CAN $30. Ten of the wines were selected by staff at four different wine retail establisments in Vancouver, BC. The eleventh wine, our highest priced variant, was chosen by a well-known local sommelier from France. 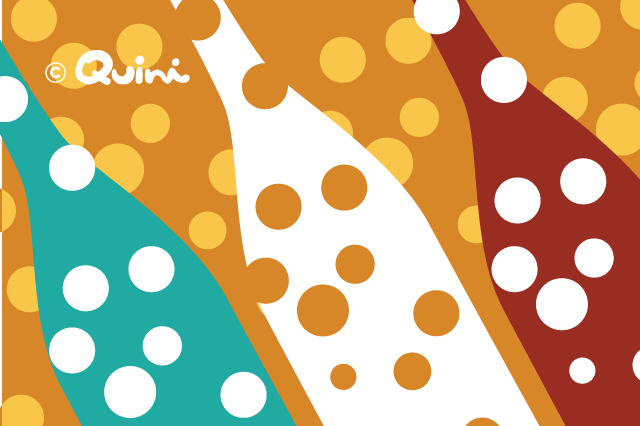 We analyzed 24 wine consumer tastings of the same wines, to get a sense, and used QUINI ANALYTICS™ to produce and visualize the results of the research. Nearly 9000 sensory and attitudinal data points were captured for the analysis. The ratings were recorded using Quini, our proprietary data collection wine tasting and rating application. Products from seven countries were chosen for the exercise. Two Prosecco and one brut/dry sparkling wine from Italy, and sparkling variants from Spain, Germany, Canada, Australia, France and the USA. One of the three Italian sparkling wines we analyzed, an organic Prosecco, was rated third out of all eleven products. Not bad. The second Prosecco came in at number 5. Not up there, but nevertheless in the upper 50 percent. The third wine from Italy, a higher end brut, came in 4th place. We’d say a pretty good showing for the cohort from Italy, to claim three of the top five spots. Out of the four key aspects of wine, the eye, nose, mouth and finish, the appearance of Prosecco appealed to our tasters the most. This helped to bring up Prosecco’s ratings, followed by the aftertaste or finish. We were surprised to see that the aroma of both Prosecco products was their lowest rated characteristic, effectively holding back their relative rankings. For perspective, the two sparkling wines that consumers voted number one and two in the group, both scored higher on aroma than on taste. As for the taste of Prosecco, it was well liked in relative terms. But taste was also the second least favourite aspect of the Prosecco brands, after appearance and aftertaste. Something worth noting. Could this mean that the allure of Prosecco is more in its origin and story, rather than its flavour and smell? Possibly. But the reality is that on the aggregate, all the primary aspects of Prosecco were relatively well liked by consumers in the region. While consumers sited many aromas in the wines, the ones noted more frequently in the top rated wine from France were fruity including pineapple, orange blossom and melon, fig, prune and jam, white flowers, woody including oak and cedar, sherry, dust, earth and forest floor, black pepper and clove, and vanilla. The flavours noted the most in the number one wine were floral including mainly white flowers, fruity notes including raisin, fig, apricot, grapefruit and orange blossom, and wood notes and spice including black pepper and clove. As well, vanilla and butter, but to a lesser extent. Consumers felt that for the quality, relative to its peers in the mix, Prosecco edges towards being overpriced. Something marketers and buyers would want to pay close attention to. Another important factor to think about is whether consumers like Prosecco enough (including its $19+ price point) to recommend it to others. Our data suggests that drinkers of a Prosecco likely would. 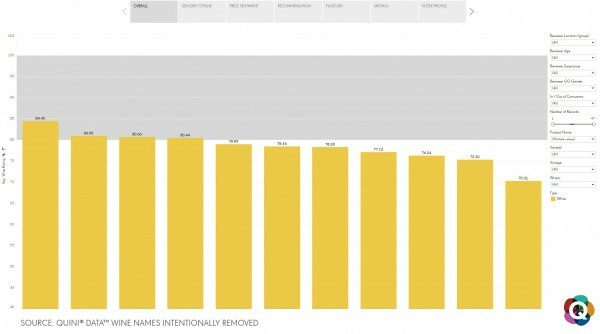 Consumers suggested they would be willing to recommend the two Prosecco brands (64.65/100 and 60.41/100) more than any of the other wines in the group. While these ratings are not absolute ‘will recommend’ indicators, they are well into positive territory. For comparison, the next closest sparkling wine recommendation rating was 56.13 on our 100 point scale. The lowest got a mere 30.23. Interestingly, this relatively low score wasn’t for any of the products that ranked in the bottom three. Overall, Prosecco proved it could capture consumer hearts – and share of wallet. Are there better or smarter options out there? Depending on the price point, the data says yes for both. A detailed report is available for purchase. Please email us at info@quiniwine.com with the subject line Prosecco 2018. Price: $250.00 with 50% off the rate card, for the first ten inquiries. To subscribe to your own ready-to-use analytics dashboard with access to all Quini data collection tools and consumer data available in our systems delivered in near real-time for your state, province or country, please write to us at roger@quiniwine.com.